Does your company use X-ray equipment or radioactive sources? Are you comfortable with legal compliance? Do you want to give your employees and the environment the best radiation protection? Do you want your employees to work responsibly and safely with radiation so your business can concentrate on its core activities? Radiation regulations are strict and avoiding unnecessary radiation exposure for employees, patients and the public is a must. Companies, especially newcomers on the market, working with X-ray devices or radioactive sources are quite often at a loss how to become and how to comply conveniently with regulations within budgetary constraints. 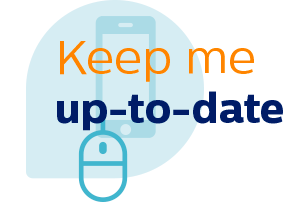 In the coming period there will be major changes in the radiation legislation and the challenge for companies on how to stay informed about these changes and how to implement these new regulations in their business. According to Dutch legislation every organization using ionizing radiation should have a registered radiation protection expert. 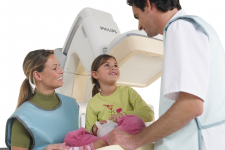 For clinics there is an extra requirement to have a medical physics expert on board. Unfortunately for some companies and clinics, it is often difficult to fulfill these requirements. Our consultancy team has many years of experience in tackling these challenges. 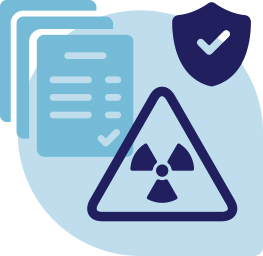 Our experienced radiation protection team supports industrial companies, hospitals and clinics with all aspects necessary to be compliant with Dutch legislation. You and your workers can feel assured and secured, so your employees can work responsibly and safely with radiation. We are a one-stop-shop radiation protection consultancy for the industrial and medical sectors. Our certified consultants are equipped with extensive expertise in industry and healthcare and know all about radiation protection. 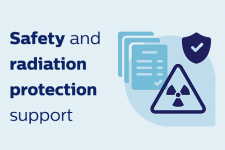 The registered radiation protection experts provide dedicated advice and can assist companies acquiring their Nuclear power act (KEW) permit, conduct risk assessments, set up a KEW-file as well as help implement all practical aspects of Dutch radiation protection regulations. We also provide radiation safety training specifically related to radiation issues within the company or the clinic. Another legal obligation for clinics working with ionizing radiation is having medical physics expert supervision for general use and quality control of diagnostic X-ray and nuclear medicine devices. Philips Innovation Services is unique in providing such outsourced medical physics expert support. In joint consultation, we determine what requirements your business needs to meet and what risks in the field of radiation you are exposed to. Determine what measures should be taken and how these can best be implemented in your business. Implementing the measures by compiling procedures and work instructions, training and setting up an inspection program. Establishing a radiation protection program, dealing with complex compliance issues and managing incidents and risks. The annual audit of the radiation protection program to ensure that they are effective and efficient and that the organization meets the legal requirements. 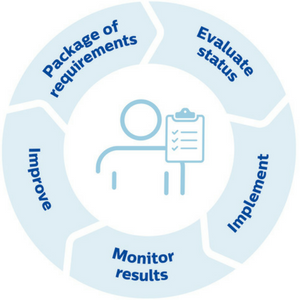 Provide a one-stop-shop solution from licensing to operational supervision and development of a radiation safety program in combination with the supplied diagnostic hard- and software. 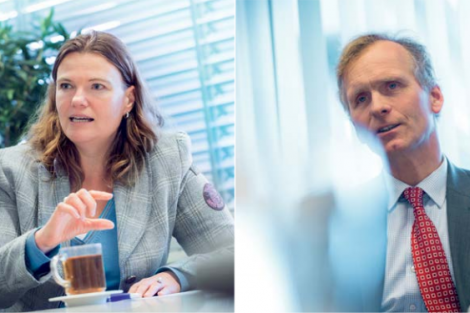 A close cooperation between SHL-Groep and Philips where the goal is to keep the client focused on business while Philips takes care of the rest. A flexible and intensive cooperation where the client can rest assured they are compliant. 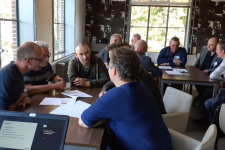 On 11 October 2018 it was time again for the annual seminar of the Radiation Protection Group (RPG) of Environment, Health and Safety key area of expertise at Philips Innovation Services. We are delighted to welcome wide-ranged health and safety consultant Geeske Rustenburg to our team. She shares our passion for protecting people at work. Endologix selected us for their Health and Safety support. Our consultants team-up to offer radiation protection consultancy combined with occupational health and safety expertise. Our environment, health & safety newsletter is sent approximately 3 times a year, containing news on trends, customer cases, events, invitations to webinars or new publications.